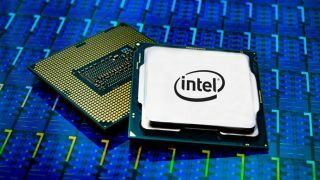 Remember that Intel’s Core i9-9990XE, a monster 14-core processor capable of hitting 5GHz across those many cores, was only supposed to be sold by private auction, and not at retail? Well, a German retailer is now flogging this powerful CPU online as a standalone product. Caseking has stock of the Core i9-9990XE and you can grab one of the chips for the bargain price of €2,999 (around £2,600, $3,400, or AU$4,700). Come on – you didn’t think it would be cheap, now, did you? Previously at the aforementioned secret auctions the processor has apparently sold for something like $2,300 (around £1,760, AU$3,200), at least in one reported case. Note that Caseking is just selling the bare chip, as opposed to a boxed processor with an included cooler and other bits and bobs, which you would normally get when buying an Intel CPU at retail. The Core i9-9990XE runs at a base clock of 4GHz with Turbo across all 14-cores to 5GHz, plus you get single-core boost to 5.1GHz. It is an extremely nippy Skylake-X offering which is unlocked so it can be overclocked to achieve even better performance (particularly with a top-end cooling solution, of course). We heard previously, from a firm that bought the 9990XE at auction, that the chip managed to rack up a score of 3,732 in the Cinebench multi-core test, which is slightly faster than the 3,640 points Intel’s Core i9-9980XE racked up in our testing (this is only one benchmark, though). The latter is the step-down model in Intel’s Skylake-X range, which has more cores at 18, but a slower clock speed at 3GHz base with boost to 4.4GHz (4.5GHz single-core). Doubtless the extra clock speed could be worthwhile if you want the absolute fastest Skylake-X model, but you do pay a premium for it – the 9980XE retails for about £1,850 (around $2,400, AU$3,400) in the UK, so it’s almost 30% cheaper than the 9990XE. The Core i9-9990XE also runs hot nearly all of the time, by all accounts, which isn’t exactly surprising given how hard Intel is pushing the clocks over this many cores (the processor has a TDP of 255W, compared to 165W for the 9980XE, so it gulps over 50% more power). Still, there will no doubt be enthusiast PC builders with no shortage of cash who fancy building a rig around a very, very fast – and still pretty exclusive – CPU, to show off if nothing else. Caseking doesn’t indicate how much stock it’s carrying, but the processors are still available to purchase at the time of writing. The German retailer is also selling the King Mod CKPC-843 super-high-end PC designed for performance gaming and streaming, which is actually two-machines-in-one, the primary system being built around the 9990XE. It’s priced more like a car than a PC, though, at €13,000 (around £11,200, $14,700, or AU$20,500).